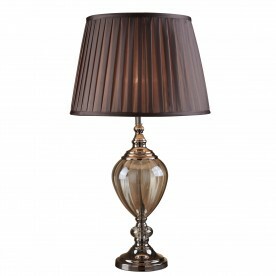 Make an impact in your living room, bedroom or study with this stunning table lamp that exudes class. 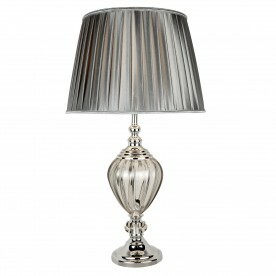 The pewter colour pleated and tapered shade has a lovely metallic finish which will suit a range of decors. Clear glass forms the curved base and it is complete with a chrome trim.